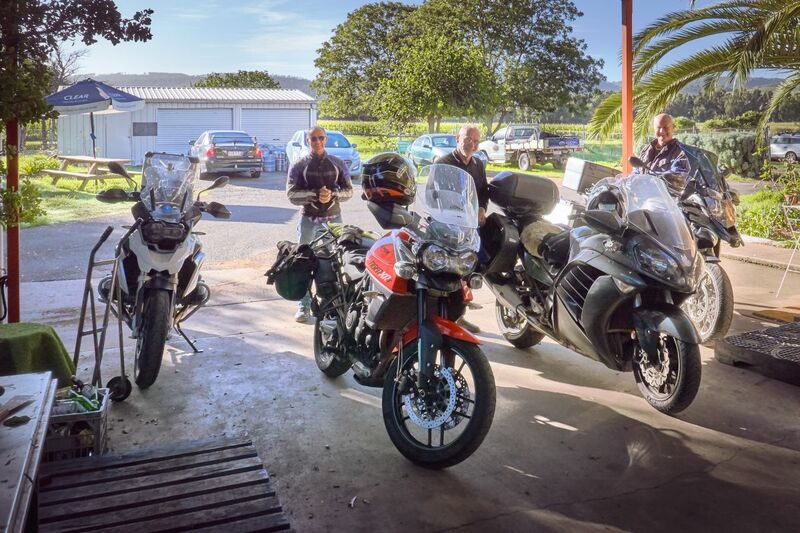 On Sunday 31 March four of us (Mike, Steve, Rod and I) did a quick overnighter to NSW via Boonah down the Lions Rd then across the Summerland Way to Woodenbong and spent the night at Killarney Hotel which is always a welcome stop. Next morning we retraced our steps to Woodenbong then turned South to Urbenville, Bonalbo and Tabulam where we took a left to Casino for coffee. On to Kyogle and back up the Lions Rd to Rathdowney, Boonah and home. A very enjoyable way to spend a couple of days! I live at Lake MacDonald with my wife Amanda, 2 horses, 1dog, 3 cats and a much loved Yamaha MT09. Moved here in 2016 after 30 years in Cairns to retire and enjoy the beaches ,forests and lots of twisty roads. I've ridden bikes all my life and hopefully will continue to do so for many more years.